If your donation is being made “in memory of” or “in honor of” someone, please send us the address of the honoree or family member of the deceased, so that we can send them an acknowledgement of your gift. 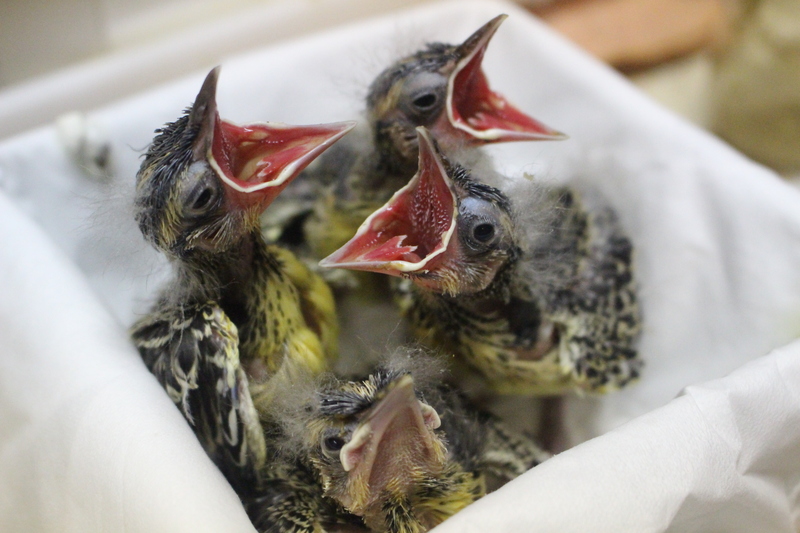 Your donation supports the thousands of injured patients and orphaned birds we receive each year. The Raptor Trust is grateful to the many friends and neighbors who help us every day with their kindness and their support! iGive.com is yet another way to help The Raptor Trust. Shop through their website, and iGive will donate up to 26% of the sale directly to us. It takes a few minutes to create a free, private account. Please specify that you would like to donate to The Raptor Trust when you create your account. iGive is partnered with over 1300 stores, including PetSmart, 1-800-flowers, Amazon.com, Bestbuy.com, Target, and many more. Check out their website to learn more about how it works. We also have a gift shop filled with fun trinkets, souvenirs, books and Raptor Trust t-shirts, mugs, stuffed animals and much, much more! After your tour, stop by the Gift Shop! It takes a lot of supplies to keep the Trust running. Below is a list of items we need and use every day! Visit our Amazon Wish List for easy and direct donations!